Charanji Enclave (Lohgarh), Ambala - Chandigarh Highway, Zirakpur - 140603, India. 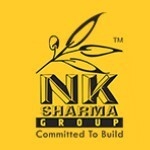 NK Sharma Group is one of the leading real state developer in Zirakpur and Mohali near Chandigarh. For decades NK Sharma Group has established itself as one of India’s premier real estate development companies, operating in Chandigarh, Panchkula, Mohali and Zirakpur. We have accomplished a number of successful projects in the recent years. We are one of the renowned and favourable brand so we constantly develop new projects to meet the demand of our customers. We have 3 ongoing projects now and you can buy your dream home with us. You can check our ongoing projects in the product listing section.